Finding the perfect property for you and your family is a dream come true, but it come’s at a price and can be challenging. What Is The Perfect Property? The perfect property can be defined as a few things, dependant on your preferences. You dream home might be three stories high with five bedrooms, it might have a swimming pool, be within walking distance of your work or children’s schools. Or maybe it has a large garden or enough room for you to create a games room or den to retreat for some personal time whenever you wish. Although you may want some of these things, not all homes have them. And the ones that do have them can sometimes be difficult to find, but luckily we have devised a plan to help you and your family on your quest for your dream property – so keep reading! You have to start somewhere, and luckily the internet now exists, allowing you to flick through hundreds to thousands of properties online to give you a brief insight to what you’re going to be looking for. Of course, although you can see the properties online this does not mean that you should not go and view the home. This is because editing platforms allow those looking to sell their homes fast to edit the images, as well as allowing them to hide any defects the home may have – so you should always visit the property at least once. Sites such as Rightmove, OnTheMarket provide help in finding a home within your desired budget, as well as with the amount of bedrooms, bathrooms etc. all to your specific needs as well as the area and surroundings. They can be vital in finding your dream property, and they’re free! So if you have not already then make sure that you use them to your full advantage. Have a dream location? Make finding your perfect property easier by researching all of the new build properties currently in process within that area. As well as this, take the time to look up all of the planning permission documents to see if anyone is extending their home in preparation to put it on the market, because with the extension or other feature added on you may find that this is your dream home. Take a look at your local council’s website to see a list of all of the opposed planning permission requests; you can see those that have been rejected and accepted, which can be handy when finding the home of your dreams. And if you have your heart set on a particular location, it’s all about the waiting game. A property may not become available straight away in the location you move to, so all you can do is sit back and relax until one pops up. And it’s not tangible for you to constantly be checking property sites to see if anything has come up, and for this purpose, a lot of property selling sites offer alerts for properties desired by their users. Simply type in your email address and select the location and preferences of the home you are interested in; for example, the number of bedrooms and bathrooms etc. And once you think you’ve found a property that you’re interested in, it is an absolute MUST to view the property! There have been hundreds of thousands of horror stories from people who have assumed they found the home of their dreams and dived straight in with no viewings and found loads of expensive defects. So it’s extremely important that you check the house thoroughly to make sure that there are no defects before you make an offer, as after a certain amount of time there is no backing out unless you wish to pay an extortionate cost. And as for viewing times, you should aim to visit the home at least 3 times, once during the morning, afternoon and evening. Simply because the home sellers may be using time of day to sell the home quicker. The house and neighbourhood may seem quiet and peaceful during the day, until the noisy neighbour returns from work and the loud music begins. Estate agents can provide a goldmine of information on properties, property value, as well as key property, features best for you. Estate agents are the people that take you on a tour around properties and aid you in finding properties on the market matched ideally to you. You may not think it, but estate agents can be key in the process of finding your dream property, they know all of the tricks of the trade when it comes to home selling and buying. For example, the old trick of hiding damp patches or mould under a large picture frame, quite often now estate agents will lift up paintings and picture frames to make sure there’s nothing hidden under it. As well as that there are many more tricks that they check for that you might not even be aware about, they strive to find you the best home price as well as fit the property suitable to your needs. 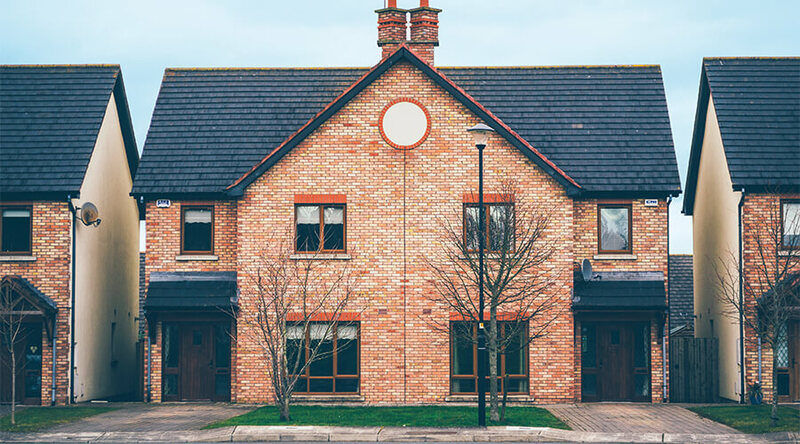 Whether you need builders Milton Keynes to fix up any defects, or information on the previous use of the building estate agents are there to let you know. And Finally, Don’t Be Afraid To Ask Questions! And our final step in finding your dream home is one of the most important, make sure you ask plenty of questions to the home seller before buying, you want to squeeze out as much information as possible to make a decision on whether this is the home for you or not. Ask questions like “how old is the boiler and when was it last serviced?” “when was the last electrical rewiring” “how long has it been on the market?” “have there been any problems either with the neighbours or in the neighbourhood?”. These are all valuable questions that can help speed up the verdict of whether you make your offer. So now that you’ve got all the tips you need, it’s time to put them to use and get searching for your perfect property! Can’t find a home for you but need more living space? Why not consider home extensions Buckingham to add extra space to the home you already have! How have house prices changed over the year?